Over the years, SUVs have definitely evolved into urban denizens. Family-sized seating combined with considerable payload capacity was always attractive, but the high clearance and off-road ability can come in handy in town too. Newer versions, exemplified by the 2016 Honda CR-V and HR-V, have domesticated the SUV by condensing it while providing a richer interior. Even with these commonalities, as the following info will show, the CR-V pursues a life as a family vehicle while the HR-V assumes a smaller profile for those wanting to travel light. With both vehicles, a single engine supplies the power for all versions. 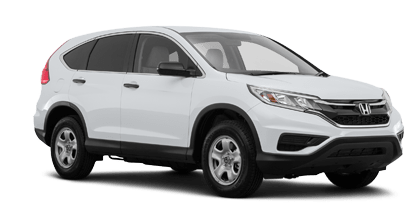 Meant as a spacious five- person transporter, the Honda CR-V utilizes a 2.4 liter 4-cylinder engine paired with a continuously variable transmission or CVT to burn less gas while still creating 185 horsepower. In its five trim packages, the LX, SE, EX, EX-L, and Touring, the combination produces 26 mpg city and 33 mpg highway. The addition of all-wheel drive pulls the results down to 25 mpg city and 31 mpg highway. The more diminutive HR-V counts on a 1.8 liter 4-cylinder motor to produce the 141 horses needed to spirit it through traffic. Taking a more flexible approach, the HR-V comes with a six-speed manual transmission in the FWD versions of the LX and EX models while including a CVT in the AWD configurations and all forms of the EX-L Navi. As intended, the CVT option holds mileage to 28 mpg city and 35 mpg highway, but the inclusion of AWD drops this to 27 mpg city and 32 mpg highway. The manual transmission comes in at 25 mpg city and 34 mpg highway. 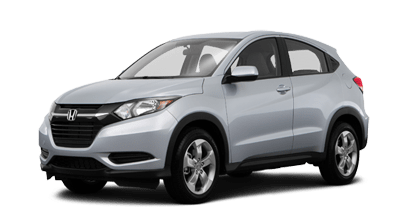 Being lighter and sportier, the HR-V, just over 14 feet in length, possesses a streamlined appearance best demonstrated by the nearly invisible rear door latches located just behind the rear corners of the windows while the overall roofline follows a strongly bowing curve. By contrast, the CR-V takes a more conventional approach by presenting larger, more rectangular doors with regular door handles. At roughly 15 feet, the CR-V even has the space for an additional stationary window behind each rear door. Both vehicles offer up to eight similar color choices including mountain air metallic and Milano red. The HR-V offers a simple selection of only 17 inch alloy rims while the CR-V’s sizes range from 16 inches up to 18 inches. Inside, the HR-V comes in either gray or black cloth that upgrades to leather in the upscale models. The CR-V includes beige in its interior color palette. Both vehicles come with such safety standards as antilock brakes, front, side, and side curtain airbags, traction and stability control, a backup camera, and tire pressure monitoring. They also share many of the same electronic safety systems like the LaneWatch blind spot camera. The CR-V Touring edition also offers a lane departure alarm along with a frontal collision system that can differentiate people from cars and can even autonomously activate the brakes in an emergency. While the CR-V has earned a good reputation for being a roomy, compact SUV crossover, the HR-V also has a surprising amount of roominess. 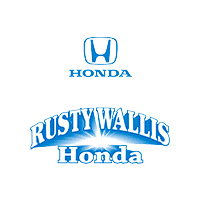 With a test drive at Rusty Wallis Honda, you can discover all the surprising amenities hidden in both these vehicles. *Based on 2016 EPA mileage ratings. Use for comparison purposes only. Your mileage will vary depending on how you drive and maintain your vehicle.